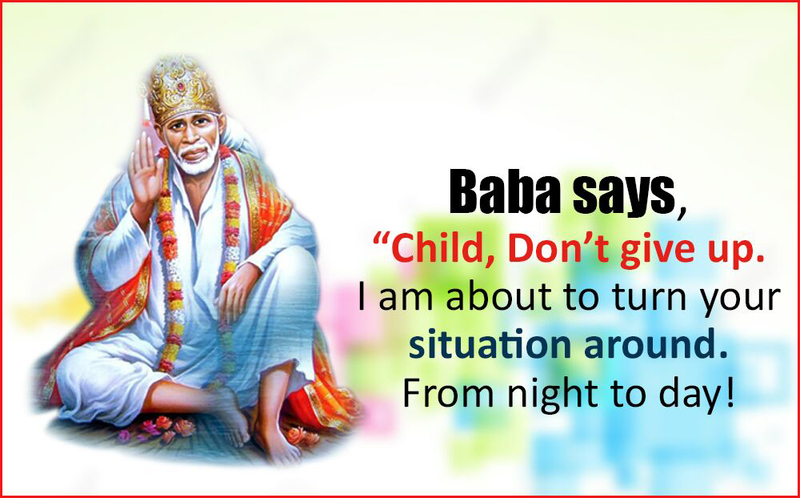 Shirdi Sai Baba Devotee Gowri Oberoi from India says : Sai Ram to all this is Gowri. Dear Pooja, Hetal, Kanika, and all Baba’s angels who worked relentlessly to fulfill Baba’s Mahaparayan initiative. First and foremost thank you all from the core of my heart. I, Gowri from Delhi would like to share how Baba sent me the most amazing gift on my birthday on 1st November. I have shared already how Baba made me for MP-19 group and how Baba through the question answer site gave reassurance to Pooja Garg that all groups will be formed by next Thursday when groups were far away from getting formed. After MP starting, I was somewhat relieved from my emotional state as I had just a few days before the beginning of MP, left my daughter in New York to study and was very sad as in 20 years that was the first time I was away from her. Then my birthday came and I was in no mood to celebrate as I was still missing my daughter a lot. As my husband and other daughter were also sad, no one got a cake or did any celebration and I was also in no mood but my only desire was to get a gift from my Sai and prayed for the same. Just like in chapter 4 of Satcharitra in which it’s mentioned that Vitthal Patil comes in the form of a photograph, I also secretly desired in my mind to get to see Baba in the form of a photograph but waited for a month but Baba didn’t come. But Baba’s timings are perfect! On the evening of my birthday, my husband came home with a packet saying it’s some packets of Udi sent by someone in Shirdi. I knew the Udi packets were sent but when I opened the packet, I was ecstatic with joy as there was a beautiful picture of dear Sai along with Udi packets and Shirdi Prasad! I had goosebumps and tears of joy! Attaching the picture! I have never got a better gift in my life and this made my birthday of 2017 the best ever as MP also started this year and Baba Himself appeared on my birthday exactly 2 months after MP started! Thanks to Sai and all Sai’s angels who came into my life and made 2017 the best year of my life. Our universal Mother Our Sai Maa Keeps Our Wishes On Top Priority Just Like A Mother For Whom Her Children's Desires Come First In Her To Do List. His Timings are just perfect. We as humans lack saburi to understand this. But He knows the past, present and future for He is omniscient and the most merciful! Love You Sai Maa. Jai Ho Sai.